Your passengers might say, “Are you sure this is a Jeep?” They are so impressed how comfortable the seats are even in the back seat and how luxurious the cabin is that is bursting with superior materials and premium features. They are riding in a new 2016 Jeep Grand Cherokee from the friendly folks at Greenville Chrysler Jeep Dodge RAM and are really enjoying the amenities of this Cherokee. The Jeep guys just nailed it when they named this mid-sized SUV the “Grand” and put the fun back in your drive time. 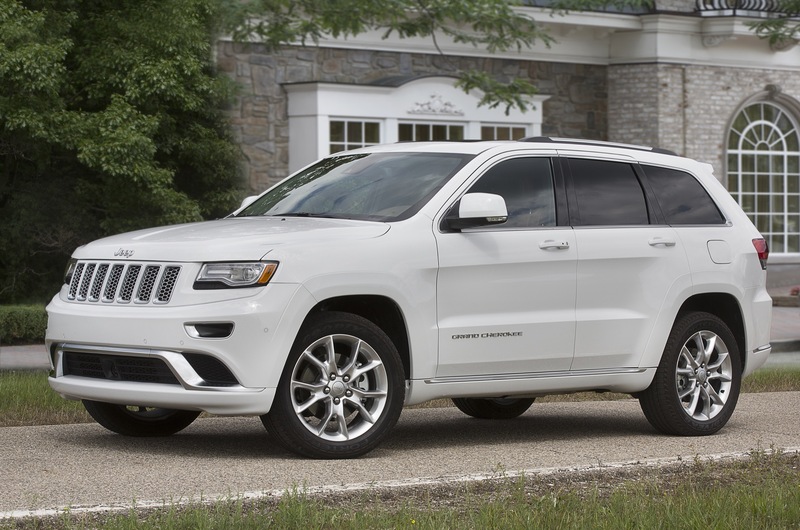 The Grand Cherokee rides high and secure and has the ability to tackle any road or off-road you want to travel. This very handsome and strong looking SUV is one of the few in its class that can handle your daily commutes and off-road adventures. You can start the excitement by taking a test drive from Greenville Chrysler Jeep Dodge RAM and slide into those comfy and sturdy seats. As you look around in the Grand’s spacious cabin you will see it is bursting with upscale interior loaded with exceptional upgrades. You can also feel a smile coming on. When you drive away you will also notice how smooth the ride is and how quiet it is inside. What could be moving you quickly down the highway could be the efficient base 3.6-liter V6 that really keeps you ahead of traffic. This year, the V6 also comes with automatic stop-start technology for even better fuel economy. Then there is the awesome and popular 5.7-liter V8 with 360 horsepower and an asphalt grabbing 390 lb-ft of torque. The other great choice in the engine category is the turbo-charged 3.0-liter diesel V6 that is excellent for off-road fun and can take you to paths unknown to other mid-sized SUV’s. Not done yet, as the SRT 6.4-liter V8 is also waiting for your test drive. This brute produces 475 Thoroughbreds and 470 lb-ft of torque that could pull a house; no roads are built that will make the SRT breathe hard. All models, except the SRT, have electric assistant steering. All of the Grand’s power plants are mated with a smooth eight speed automatic transmission. When you first hear the name “Durango”, you might be thinking of the old Wild West mining town in Colorado. The inhabitants were hardworking, rugged and tough. The other choice might have the same qualities and capabilities in the form of a Dodge Durango. This SUV is also handsome, has suave styling, a luxurious interior and packs superb performance. Get up close and personal with this big and brawny family vehicle at Greenville Chrysler Jeep Dodge RAM. The Durango doesn’t look “truck like” or boxy as some other large SUV’s. It is in a class of its own. The Durango hits that sweet spot between crossovers and SUV utilities. You will agree that this Dodge is certainly one of the better looking three row large SUV’s on the highway and is a head turner, but the Durango isn’t just a pretty face. A pair of strong engines are available for your enjoyment. The very reliable standard 3.6-liter Pentastar V6 has close to 300hp and 260 lb-ft of torque. Also, its big brother has an awesome 360 horses with the 5.7-liter Hemi V8 that delivers a pavement grabbing 390 lb-ft of torque. That is not a misprint. You can just about haul a house with this combo, if it weighed around 7,400 pounds. When you take that necessary test drive ask to try both power plants out just for the fun of it. All of these engines are helped by the smooth eight-speed automatic that delivers reasonable fuel economy with 14/23 city-highway results. The Hemi features the Fuel Saver Technology or cylinder deactivation. The V6 includes an effective engine stop-start system. All models have selectable Eco Mode that changes throttle sensitivity and transmission shift points to maximize fuel savings. When you first slide into the Durango, you will appreciate the huge and stylish interior that can comfortably seat up to seven. A nice option is the second row dual captain chairs that Durango is famous for seating 6 adults. Yes, that third row can fit adults and not just small children as some other SUV’s. Along with the large storage area, there are several adequate places throughout the cabin in which to put your stuff and hidden from outside eyes. This Durango has a distinctive dashboard and front cockpit that is loaded with high quality and technologically superior systems that relate to entertainment, communication and security. The Sales Rep will be more than happy and proud to show you all the “goodies” and the long list of available options from leather to upgraded technology. Recently, I was washing my aged white big sedan when my teenage grandson walked up and said, “How is that old folks’ car doing?” It was a bit of a jolt to be identified with a type of car, even if I am a senior citizen. Then I said to myself, “self, this piece of iron is a little outdated!” It has been identified as an old police car, a Mafia vehicle that has enough trunk pace for three adults and a gas guzzler. So, with the help of my grandson we researched some 2015 cars that are good for the senior citizen crowd. We kicked some tires on mid-sized to larger mini vans. Nothing stuck out until we arrived at Greenville Chrysler Jeep Dodge RAM and took a test drive in a new 2015 Chrysler 300. Like when I met my wife, it was love at first sight for this geriatric. Gone from this large road cruiser was the image of a stodgy, dated or otherwise uncool vehicle. The Chrysler 300 not only has my big trunk back, but offers push button entry/ignition, very comfortable power heated seats and large, legible gauges. This is so important for seniors like me. I also thought that I would have to give up some horsepower and “zip and zoom” in the acceleration category, but found out that this is not the case with the 300’s 3.6-liter V6 with its smooth eight speed automatic transmission. I thought four speeds was ok with the old white car, but I didn’t know what I was missing when I took the test drive for the first time. The ride in the 300 is even more comfortable than we imagined and we thought we were spoiled with the ride in the old cruiser. It is so quiet! Of course my grandson jokingly said I couldn’t tell anyway with my hearing. Anyway, I love the rear wheel drive system which is a great American tradition. Inside, the Chrysler 300 has an excellent U-connect 8.4 inch touch screen system that is easy to learn. I didn’t even ask my grandson for assistance. We added several options such as safety blind spot monitoring, lane change assist, front and rear parking sensors and adaptive cruise control. Have the guys and gals at Greenville Chrysler Jeep Dodge RAM tell you about that feature as it is something to behold. If you are looking for another full-sized rear-wheel drive American sedan, don’t look any further and get on down to Greenville Chrysler Jeep Dodge RAM and take the 300 for a spin or you can call them at 903-454-0283 today! By the way, look at the 300S as it has a lot of extras even the most discerning car enthusiast will enjoy. 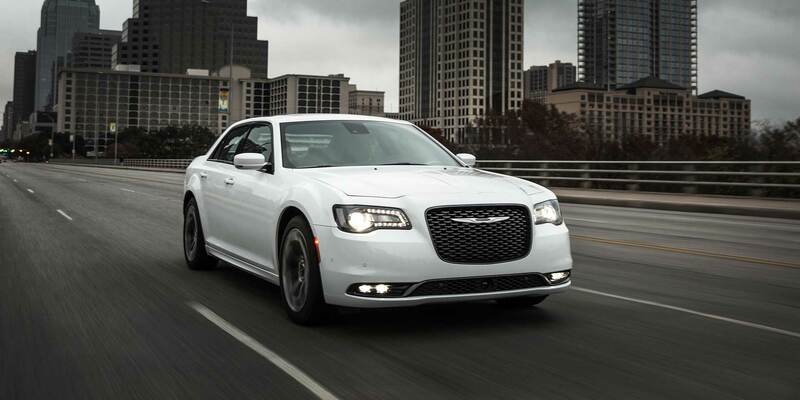 The 2015 model year adds updated front and rear styling, optional driver assist systems, and Chrysler’s award-winning UConnect infotainment system, earning the 2015 Chrysler 300C Platinum worthy of PC Magazine’s Editors’ Choice award. The updated exterior styling embodies world-class levels of craftsmanship and technology. Sixty years of stunning designs, engineering innovations and countless accolades have made the Chrysler 300 an automotive icon. Boasting an award-winning 3.6L Pentastar V6 engine that delivers 292 horsepower, 260 lb-ft of torque and Best-in-Class 31 highway mpg, an exceptional combination of performance and efficiency in a full-size sedan. On the 300S, the performance is enhanced even further to achieve 300 horsepower while still maintaining Best-in-Class highway fuel economy. Moving inside you’ll be greeted by a welcoming cockpit with a Chrysler Uconnect screen loaded with features and intuitive infotainment systems. Streaming music apps such as Pandora, Aha, iHeartRadio, and Stitcher all work through a connected smartphone, making your commute more pleasant than ever. To learn more about the amazing 2015 Chrysler 300 visit Greenville Chrysler Jeep Dodge RAM today at 5401 Interstate Highway 30 in Greenville, Texas or go online at http://www.greenvillechrysler.com today!